Lone star tick bites are likely the cause of thousands of cases of severe red meat allergies that are plaguing patients in Southeastern states including Tennessee, North Carolina and Virginia and spreading up the Eastern Seaboard along with the deer population. Vanderbilts Asthma, Sinus and Allergy Program (A.S.A.P.) 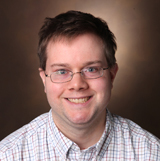 clinic is seeing one or more new cases each week of patients allergic to the alpha-gal sugar present in red meat, according to Robert Valet, M.D., assistant professor of Medicine. It is not completely understood exactly how the allergy starts, Valet said. The thought is that the tick has the alpha-gal sugar in its gut and introduces it as part of the allergic bite and that causes the production of the allergy antibody that then cross-reacts to the meat, he said. Valet said the allergy can cause hives and swelling, as well as broader symptoms of anaphylaxis including vomiting, diarrhea, trouble breathing, and a drop in blood pressure. I think it is something that certainly belongs among the most important food allergies, particularly in the Southeast, he said. Certainly these patients can present with every bit as severe of an allergy as someone who is allergic to peanuts. Alpha-gal patients can safely eat poultry such as chicken or turkey but red meats such as beef and pork, and even game like venison, will cause a reaction. Valet said some patients react to milk, even in relatively small amounts. Persons with the allergy can go into a delayed anaphylactic shock four-six hours after eating red meat, so when Hendersonville resident September Norman woke up in the middle of the night with a swollen tongue and hives she wasnt sure the source of her problem. Norman and her husband were staying at Tennessees Fall Creek Falls State Park at the end of July, had played some golf and grilled rib eye steaks for dinner. At about midnight I woke up and was itching very bad, kind of like a rash, she said. About 2:30 a.m. I got up and my hands felt like they were on fire, like I was bitten by fire ants. I drank two bottles of water, sat on the sofa, and it wasnt five minutes before I felt my tongue and lip swelling and told my husband that something was wrong. I could barely talk at that point my tongue was so thick. He turned on the lights and his eyes looked like saucers. They drove from the park toward the interstate to get a cell phone signal to call 911 and waited on the highway for emergency help to arrive. I was getting worse. My whole body was red and broken out in hives. I was staring out the window, saying Please God, not here. I probably would have gone into a panic had I looked at myself in the mirror. My husband said my face looked like a giant red balloon and my lips looked like a clown. The emergency responders gave Norman an epinephrine injection to treat the anaphylaxis and she received Benadryl, an IV, and steroids during the ambulance ride to Sparta, the closest hospital. The doctor at the hospital said her reaction was probably environmental and sent her home with a prescription and advice to always carry an EpiPen. She continued to eat red meat, even preparing her sons favorite pork tenderloin dish that Wednesday. As the week wore on, and her steroids from the hospital wore off, Norman felt her throat becoming tighter and tighter. I had been eating the culprits all week, she said. I was full of steroids and thats probably why it took so long. We went to Vanderbilt and Dr. Jan Price talked to me about what happened to me. I was retracing my steps and remembered that, in the middle of June, a tick bit me on the foot. She sent me to Dr. Valet and he said he knew what I had based on the tick and my reactions. Valet said he diagnoses patients with a blood test but there is not a good way to desensitize people once they become allergic to this food, so they have to avoid red meats and, in some cases, milk as well. It certainly is a big disruption for a lot of peoples lives. Things like your classic barbecue really becomes off limits, Valet said. 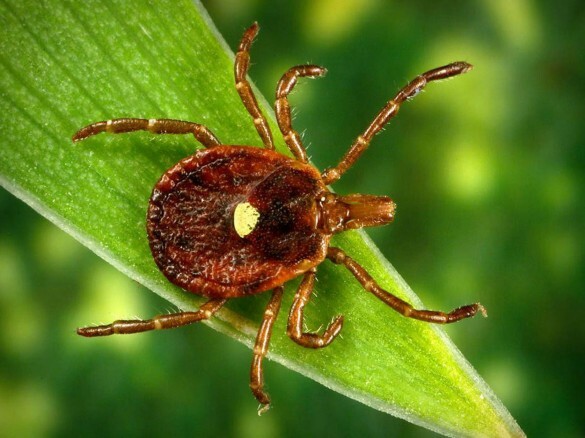 We know that getting repeated tick bites causes the level of allergy antibody to rise and so we do recommend people with this allergy do good tick avoidance and carry an EpiPen if they do have an exposure to red meat and need to rescue themselves.